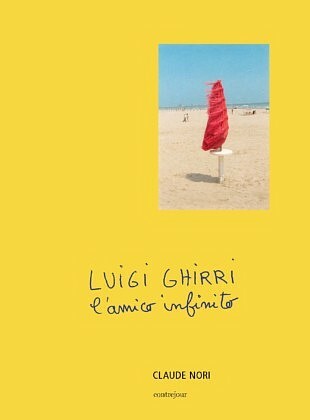 IN THE FRAMEWORK OF THE FIRST RETROSPECTIVE OF THE PHOTOGRAPHer LUIGI GHIRRI (1943-1992) at le jeu de paume FROM FEBRUARY 12, 2019 TO JUNE 2, 2019, contrejour publishes LUIGI GHIRRI, THE AMICO INFINITO, WHO RETRACTS FRIENDSHIP BETWEEN the EDITOR AND THE PHOTOGRAPHER. Ghirri said several times that “photography was first and foremost a way of thinking about photography” but he did not stop “thinking through images”. His work in series and sequences, his books conceived as a poetic sequence always leave room for emotion, Geometer, conceptual artist, photographer, theorist, publisher, organizer of exhibitions, he transformed and made known Italian photography in his country and abroad. He was a friend of many intellectuals, architects, historians, musicians and thinkers who lived near his home in Modena where there was intense artistic activity. Claude Nori, his friend since 1973 until his disappearance in 1992, published all his books in France. Here, he draws a lively, intimate, free and very moving portrait of this great photographer through their travels, their trips on the small roads of the Po Valley, their exchanges on technique and prints, their discussions on neorealist cinema, the great currents and the works that marked the photograph. Composed in chapters that are all small anecdotes of shared moments, the book recreates the atmosphere of these years of rupture and renewal to understand the thought and work of Ghirri: the design of the book Kodachrome, the visit of the workshop Morandi, Versailles, the conference at the Sorbonne in 1985, Bob Dylan, Lucio Dalla, Walker Evans … This portrait, the opposite of all the theoretical clichés, reveals a Luigi Ghirri, funny, moving, who seemed to have found “a balance extraordinary between the malaise of existence and the well-being of the eye. 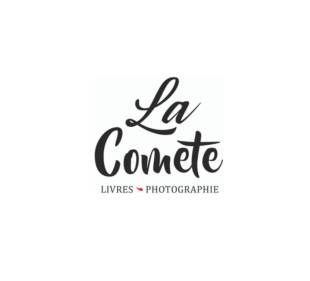 The book is supplemented by interviews, plural interventions such as those of Jean-Claude Lemagny, Michel Nuridsany, texts by Luigi Ghirri and unpublished remembrance photos by Claude Nori. A selection of about thirty photographs of Luigi Ghirri accompanies this essay, allowing to have a global and critical vision of his work.